This makes a nice dessert! Its also a lovely alternative to ice cream and easy to make. Mash the bananas with a fork in a bowl to make a soft pulp. Add the condensed milk and yoghurt. Stir well. Pour into a plastic container. Cover and freeze for at least 4 hours, or overnight. 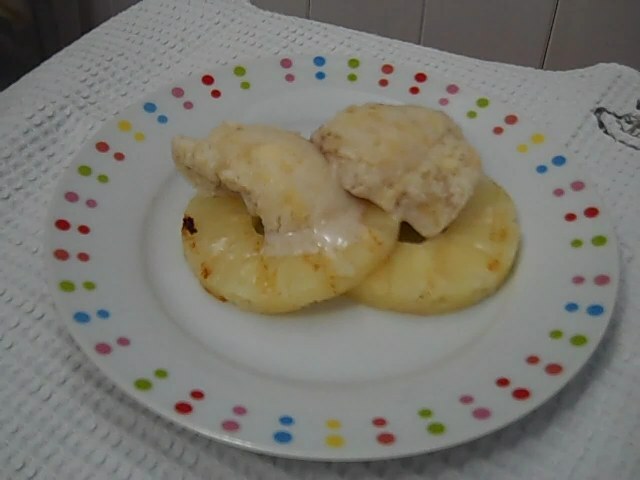 Grill slices of pineapple for 2 – 3 minutes each side and serve with the frozen yoghurt.